We Got Our Invite! Arrrrgggghhhh! This evening we came home and found an email invitation to test Pirate 101 in Beta! OMG We are SO excited!! We only had time this evening after homework to create 1 pirate. And since Mom is..well Mom; and the kid had homework the pirate we created was for Mom. We’ll share the kid’s pirate tomorrow after school. So without further adieu, may we introduce Sneaky Scarlet Hawkins! 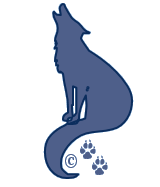 And her customize flag; The Scarlet Wolf sets the colors of her ship, her crew and all of her pirate cloths to come! Hope we can name our ship what we want instead of picking from a list. But we’ll find out soon enough. I love her already! One thing to know about the Beta version…you don’t get to keep your character or the progress you make in the game. It’s a test version after all. Now to get into the game and see what’s like. We’ll be adding some posts along the way to share what we’ve learned. 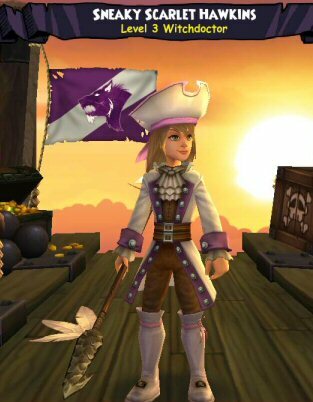 There’s no reason to get into the details that are already provided by Pirate101’s website. So we’ll cover things that aren’t apparent or obvious in their articles. 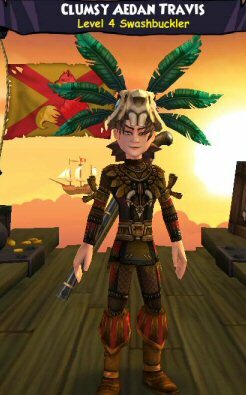 Introducing Clumsy Aedan Travis the Swashbuckler. And his flag for what he hopes to name his ship…The Fire Fox. Stay tuned for more! We’re about to have some fun! !